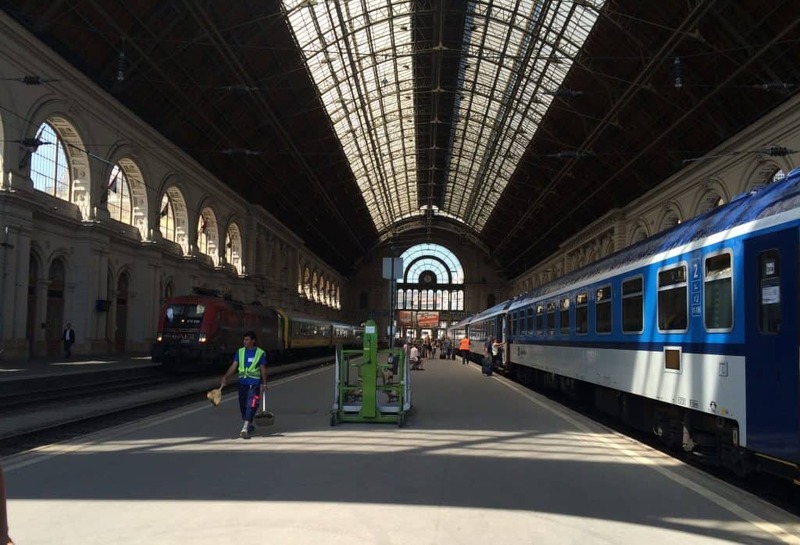 In May 2017, I set off on an Eastern Europe rail adventure with two friends. Before going, I kept searching for an Eastern Europe itinerary for my trip, but I couldn’t find one! So I decided to share my EXACT 2-week itinerary, with ALL the costs and details, to help you plan your trip. I feel compelled to begin this post with this: Yes, I realize “Eastern Europe” is a contentious term loaded with complicated socio-political history. I am also well aware Italy is nowhere near Eastern Europe, but most of my trip took place in the area of Europe most Americans call “Eastern Europe,” so for the sake of SEO, I had to use those terms so people who were searching in Google would find what they needed. I am very sorry if this offends anyone! Much love to all. Is Uber Available in Budapest? Is Uber Available in Krakow? Day 1 Venice Start in Venice. Nearest airport is Marco Polo. Nearest train station is Santa Lucia. Stay in Venice 1 night. Day 2 Venice-Salzburg Explore Venice. 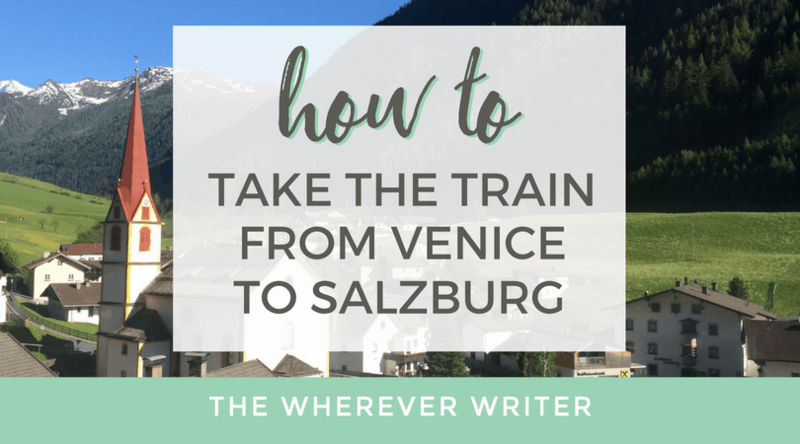 Then take the train from Venice to Salzburg. Then take the train from Salzburg to Vienna. Stay in Vienna 2 nights. Day 4 Vienna Explore Vienna. Day 5 Vienna-Budapest Explore Vienna. Then take the train from Vienna to Budapest. Stay in Budapest 3 nights. Then take the train from Budapest to Prague. 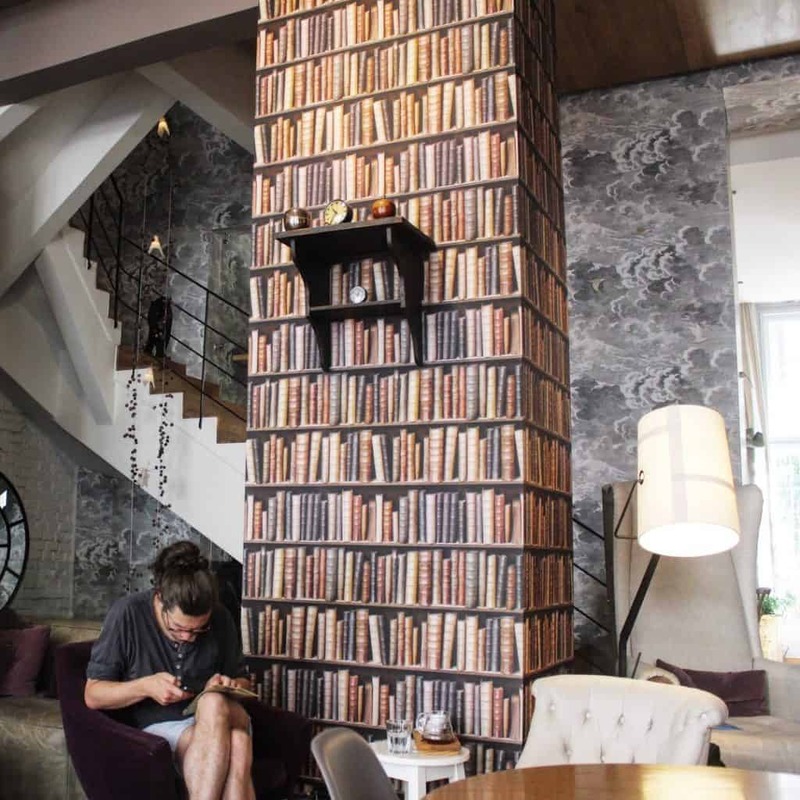 Stay in Prague 3 nights. Day 9 Prague Explore Prague. Day 10 Prague Explore Prague. 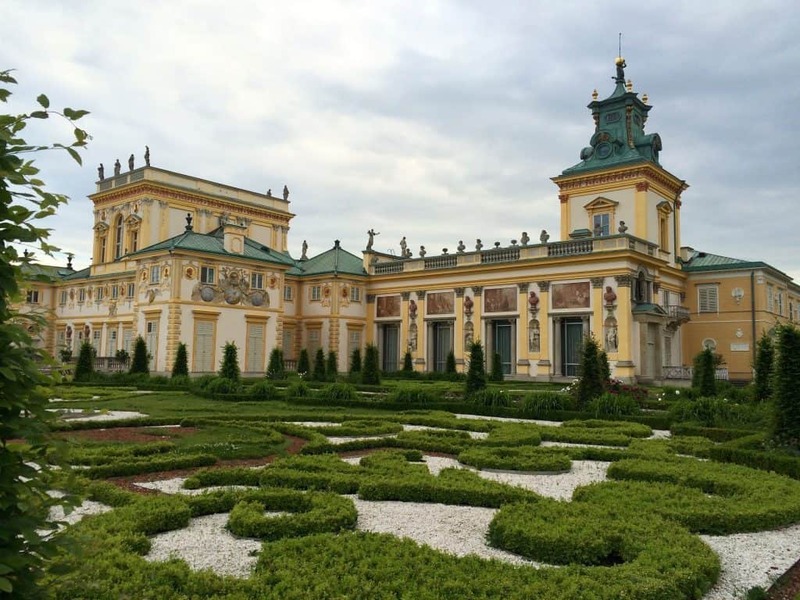 Take train from Prague to Krakow (or fly). Stay in Krakow 2 nights. Day 12 Krakow Explore Krakow. 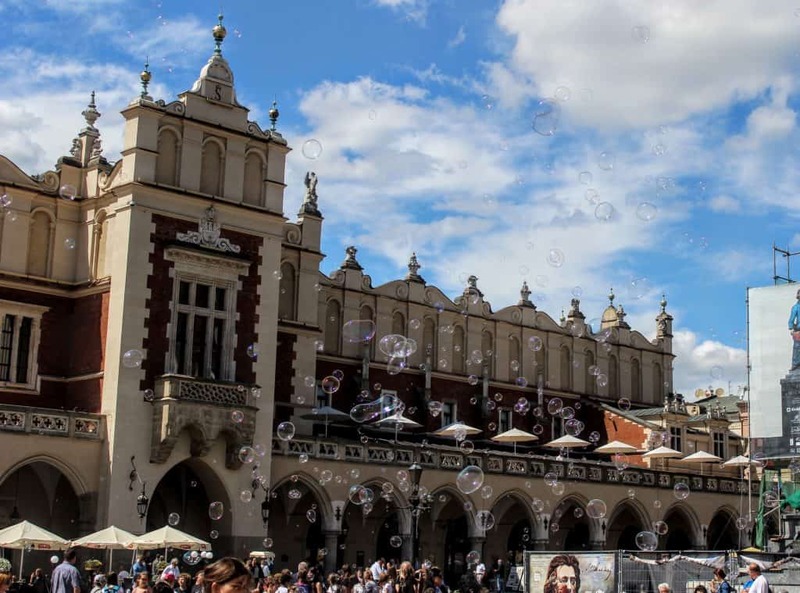 Then take the train from Krakow to Warsaw. Stay in Warsaw 2 nights. Day 14 Warsaw Explore Warsaw. 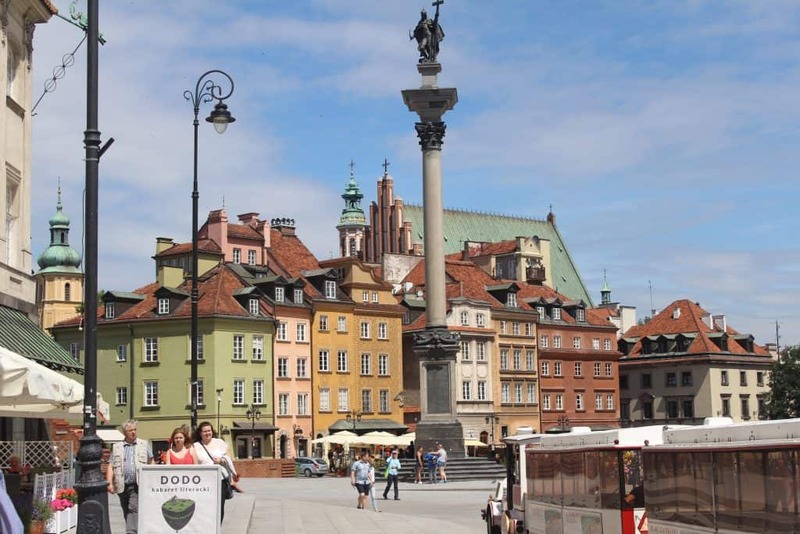 Day 15 Depart Warsaw Explore Warsaw. *Note: For days 1 through 9, that lodging price was split among 3 people. For days 11 through 15, I didn’t pay for lodging (stayed with friends). It depends. Sometimes it saves you money; sometimes it doesn’t. Here’s what I recommend. 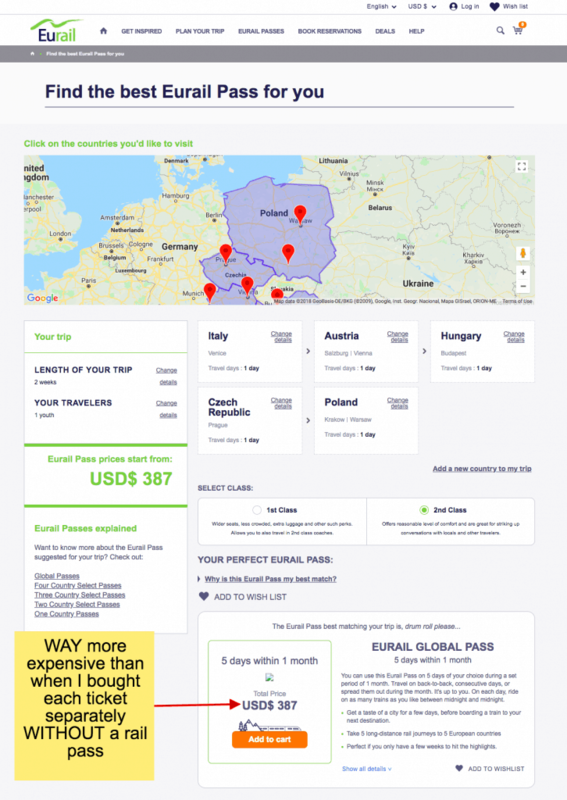 Go to Eurail.com and enter your trip itinerary and find out how much it would cost for a Eurail pass. Then, go to the various countries’ rail sites and add up how much it would cost if you just bought each individual ticket separately (like I did). Go with whichever is cheapest! As you can see, if I had gone through Eurail pass, I would have paid $387. Without a Eurail pass, by booking each ticket individually, I paid $218.48. That’s a savings of $168.52! So be sure to do the math and check to see which option is cheaper for you. It varies depending on the itinerary. Click here to use the Eurail Pass Calculator and decide if a rail pass will save you money! Timbuk2 Aviator backpack. This is the one carry-on backpack I traveled across 5 countries with! Runner’s belt to stash passport and cash. Trust me, when you’re hopping trains like every other day, you do NOT want to lose your passport in the shuffle. On this trip, I kept all my valuables (passport and cash) inside this runner’s belt. the Chrysalis Cardi. I brought TWO of these on my trip (one in gray, the other in purple), and I practically lived out of them. Before starting the trip, I read this hilarious book about Eastern Europe, and it helped me appreciate these countries so much more! All right, listen up! To prevent this post from being 20,000 words, below I dive into a breakdown of what I did on each day. But for ALL THE DETAILS, I will link to other posts I wrote on how to get train tickets to specific destinations and destination guides. I hope this helps! I had already been volunteering in another part of Italy, but decided to meet two of my American friends in Venice to begin our trip. I took a train from Padua and arrived at Santa Lucia station. They flew in from Florida and arrived at Marco Polo airport, took the bus from the airport and then walked to Santa Lucia station to meet me there. 11:30 a.m. – Meet at Santa Lucia station. From there, we took the vaporetto (water taxi) to our hotel, Da Marinella, in the neighborhood of Castello. Check in at Da Marinella. Finding affordable hotels or Airbnbs in Venice was a CHALLENGE. Da Marinella was the best bang for our buck. Monday-Wednesday and Saturday 11:30 a.m.–2:30 p.m., 6:30–10:30 p.m. Cozy retro ambience nestled in a calle, this traditional Michelin-starred restaurant has been run by the same family since the 19th century. It serves traditional Venetian dishes and is most known for its seafood and meatballs. What I ordered: Bavetta al Pesto, plus Grilled Season Vegetables. The pesto pasta doesn’t come with anything, which is why I highly recommend ordering the vegetables to mix in with it. The vegetables were lush, fresh, and tasty. Look at the size of those beans! Also, we discovered later, the meatballs here are “legendary,” so definitely order them. It was flavorful and tender. Just note, when you order a meatball, you literally get one meatball, so order more than one if you want to share or have an appetite! All the staff spoke English, though I did practice my Italian just for fun. They automatically handed us English menus too. 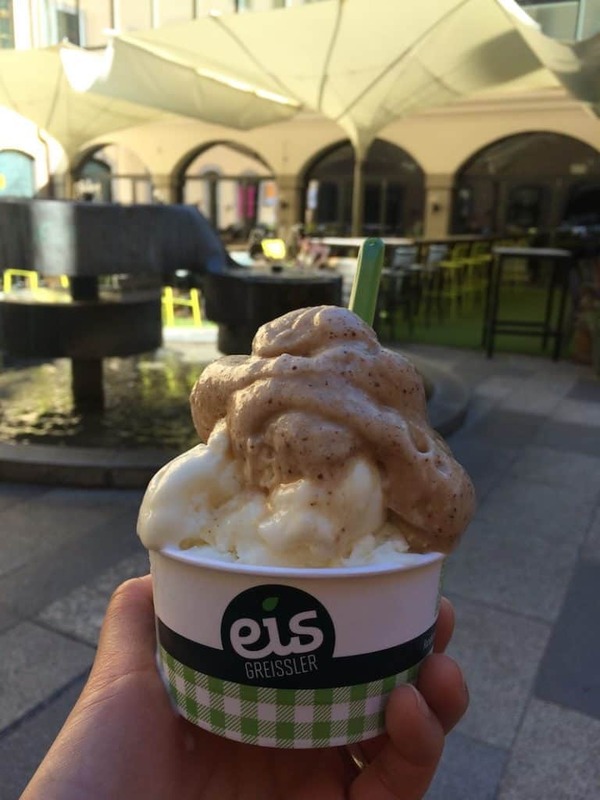 Grab gelato at Gelato Fantasy. Monday-Sunday 10 a.m. to midnightIf you’re looking for good, homemade gelato, then stop by Gelato Fantasy. I got the small cone with chocolate and hazelnut (because, sadly, they did not have my all-time favorite flavor of Baccio). The cones were interesting, with a lemony flavor. If you, however, want Baccio, there is a little gelateria inside Piazza San Marco. I don’t remember the name of it, but I think it said “American” on the outside. That’s not helpful, is it? Grocery shopping at Coop. If you need to shop for groceries, I highly recommend Coop. 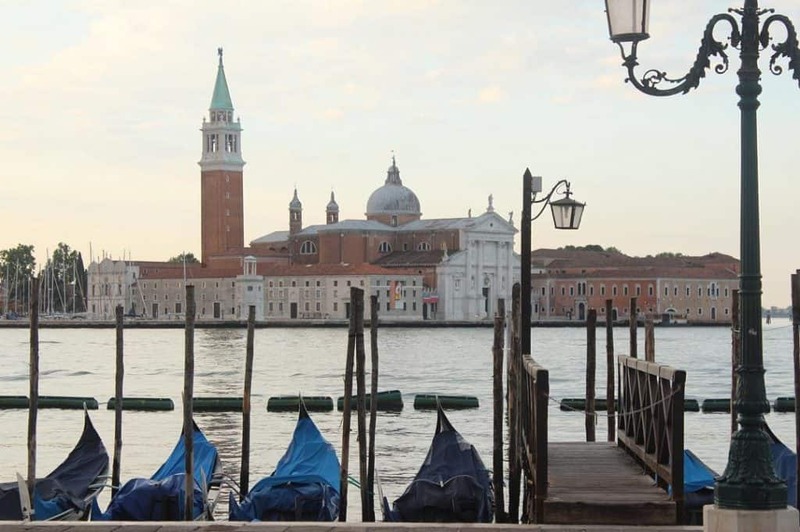 Daily 8:30 a.m. – 10 p.m.
Watch the sun set along the Grand Canal. 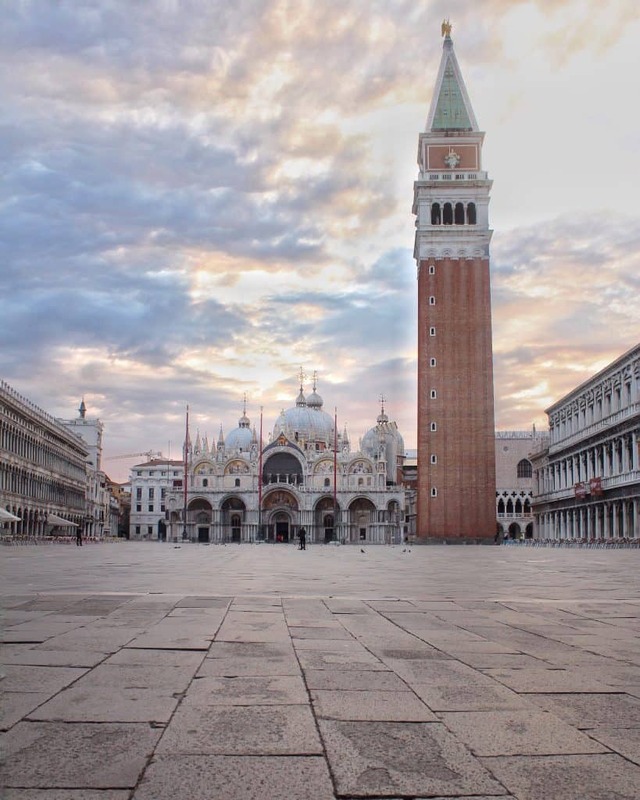 Woke up early (before 5 a.m.) to see the Piazza San Marco before the crowds arrive. I would recommend Da Marinella for a short stay in Venice. It’s budget friendly, something hard to come by in this city. I would have stayed in Padua and taken the 30-minute train into Venice. Padua is more up to my speed, a medium-sized college town. I would have gone in a cooler month. Venice was sometimes unbearably hot! Even at the end of May. 5:30 a.m. (or earlier) – Go to Piazza San Marco (St. Mark’s Square) to experience the beauty and quiet of it before the crowds arrive. From there, walk to the famous Bridge of Sighs. After, grab coffee and a light breakfast at Ponte delle Paste (opens 6:30 a.m.). 9:30 a.m. – Get in line to see San Marco church when it lights up! Yes, it’s free. Friday-Sunday: 8 a.m. to 10 p.m.Farini is a hopping little pizzeria/bakery in Venice. We only popped in because we saw it was always crowded, which must be a good sign, right? It turns out they’re famous for their thin crust pizza. For whatever reason, my pizza was thick crust, while my friend (who ordered the exact same pizza), got a thin crust one.What I ordered: Salame Piccante pizza and Romana salad. I only ordered the salad because I missed avocado and felt like being healthy, but I wouldn’t recommend it. Definitely get THIN crust pizza here! Finding seating is a battle here because it’s so popular, and it’s mostly bar seating, no private tables. It might be best to get yours to go. We decided against the overnight train (exhausting) and opted for the afternoon train. We took the afternoon train from Venice to Salzburg via Innsbruck. Now, that’s important to note: We made sure to have a connection in Innsbruck. Why? 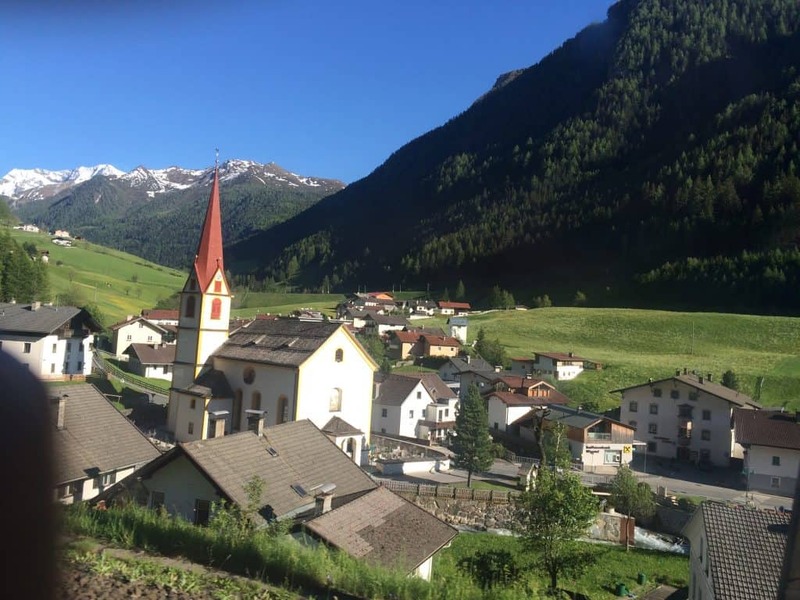 This is the scenic route, passing through the breathtaking Brenner Pass, near the Dolomites. During transfer at Innsbruck, go downstairs to the grocery store and buy food at the deli there. I had the BEST Salami sandwich of my life there. There is also a juice bar in the middle of the store. 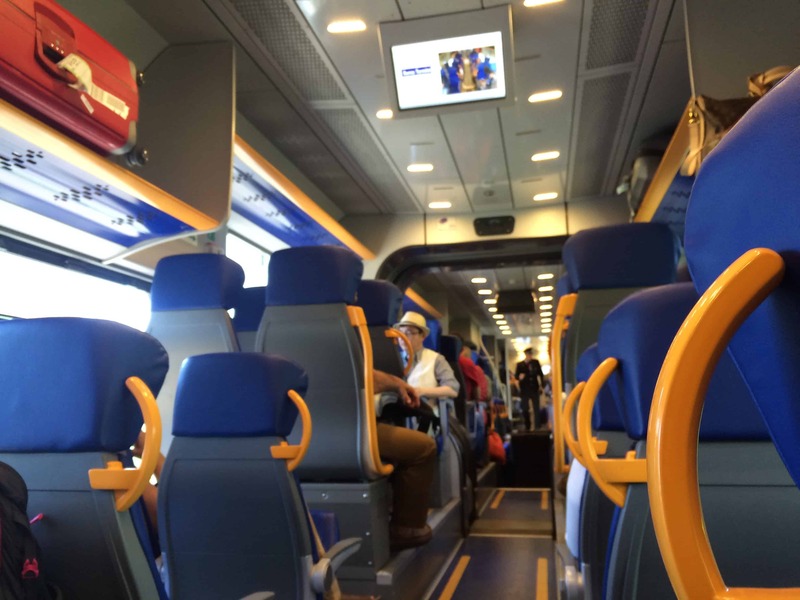 For more details, check out my post about my train ride from Venice to Salzburg via Innsbruck. 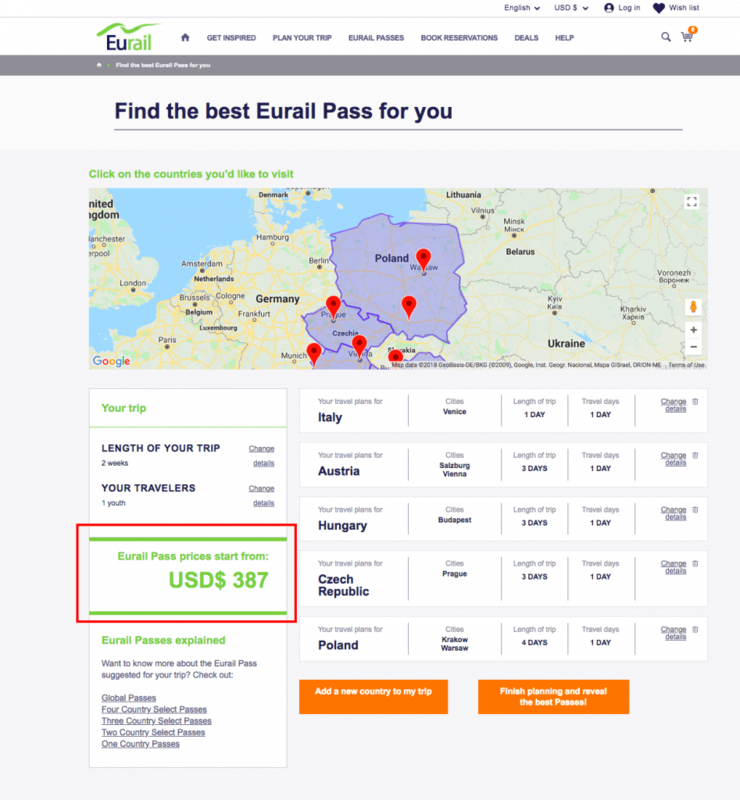 Get a Eurail pass to save money! Yes, my trip to Salzburg was crazy short—not even 24 hours. To be honest, I had no interest in seeing Salzburg, but my friend really wanted to see it, so this was more her stop. We stayed at Amadeus Residence in Salzburg, and this was one of my favorite apartment rentals of the trip! Everything was impeccably clean, and the apartment is so well constructed you don’t hear a SOUND. We were also able to walk to Old Town, though it did take about 30 minutes; I didn’t mind! It was only about a 10-minute walk from the train station, so this was a huge plus for us. 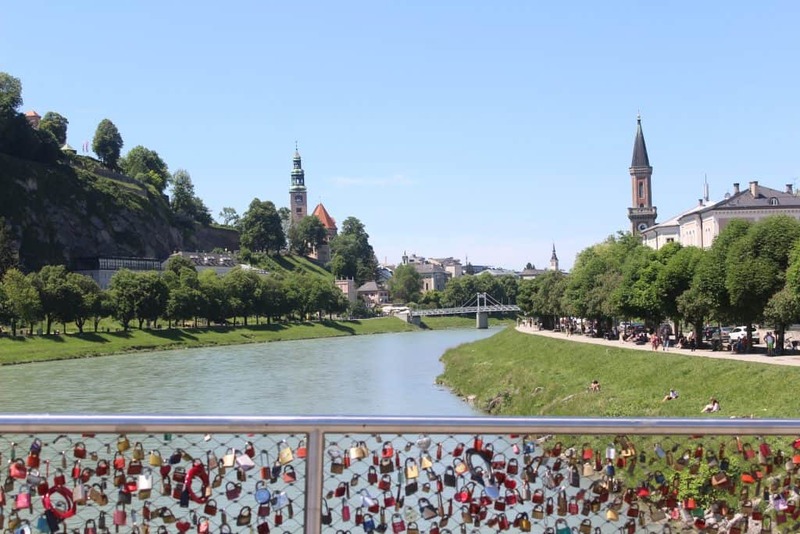 Click here to check the latest rates of Amadeus Residence in Salzburg. If you arrive by train, stop by the SPAR grocery store inside the train station. It’s fairly extensive, and it’s a great place to stock up on drinks and foods for your trip before you head to your hotel. It’s open till 6am to 11pm every day, so even though we got in late, around 9, we were able to stop by! The Salzburg train station DOES have luggage lockers, so if you have an awkward gap of time between when you check out of your hotel and when your train departs, you can lock up your luggage inside the station and use that time to explore Salzburg. Word to the wise: The luggage lockers are tricky! Read my post on How to Use the Luggage Lockers Inside Austrian Train Stations. Okay, admittedly, I did very little in Salzburg. My friends were the ones who got up early to explore the museums and downtown. I opted to sleep in, head to Sunday mass at 11:30 a.m at Salzburg Cathedral, and then explore downtown by foot for just a little while. Flexible times – You can buy a WESTbahn ticket last minute without any price hikes! We did a quick stopover in Linz, Austria, to see my friend, Thomas, whom I met in Toronto! Small world, right? If you do stop in Linz, highly recommend this ice cream shop: Eis Greissler. They have very eclectic flavors! I got asparagus, goat cheese, and hazelnut! We stayed at this lovely one-bedroom apartment Airbnb. >>Click here to get $40 off your first Airbnb stay!<< I highly recommend it! Thomas was awesome, and even provided us with a mobile hotspot we carried around the city so we always had Wi-Fi! 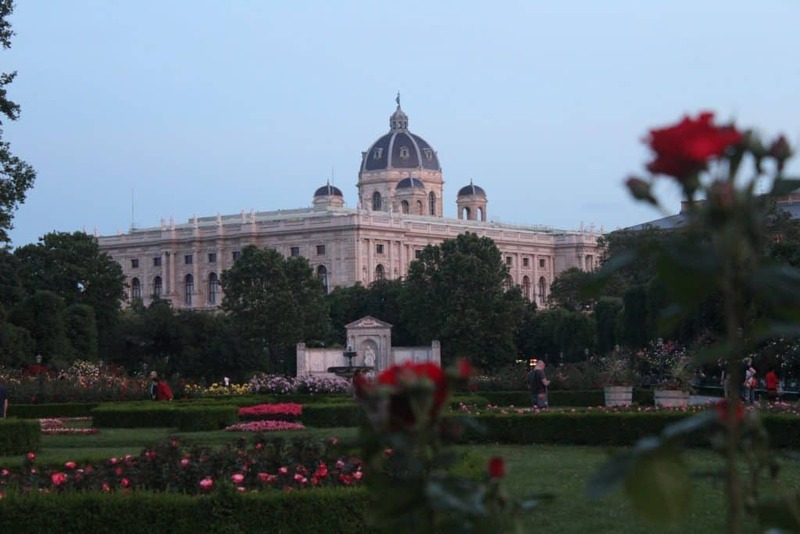 I was NOT expecting to love Vienna as much as I did; in fact, it was probably my favorite stop on the trip. I only added Vienna to our itinerary because EVERYONE said I couldn’t miss it. 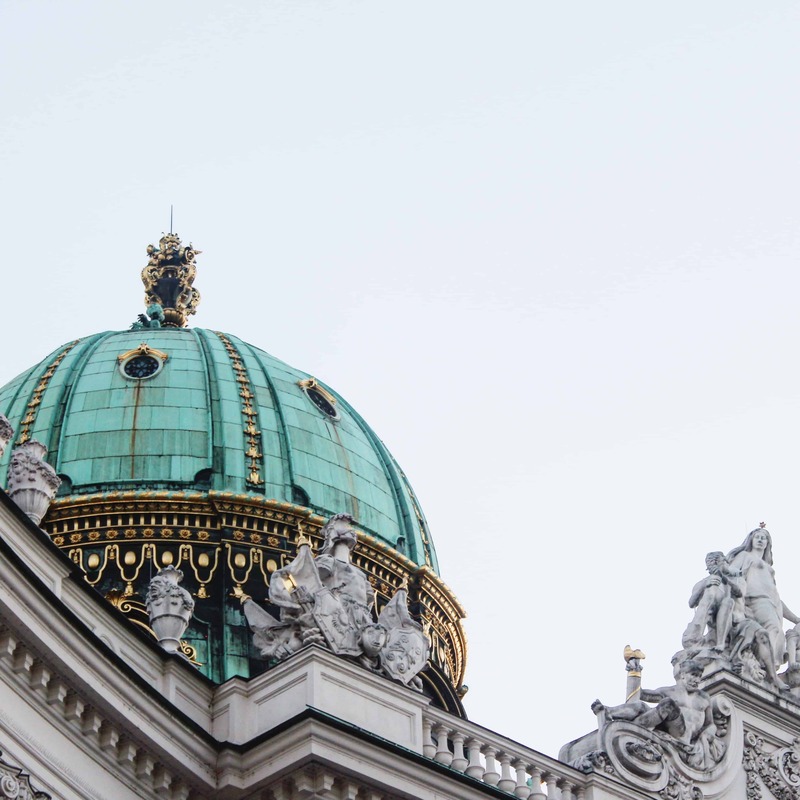 On the morning of day 4, my travel companions grabbed a swanky breakfast at Cafe Mozart, while I stayed in daydreaming about living in Vienna and pursuing my writing career full-time. Seriously, I LOVED this apartment. Breakfast at Mozart Coffee House. Walk around the city. The park, Karlsplatz, by the metro station in front of the church is beautiful. Lunch at Naschmarkt. As overwhelming as the offerings at the famous outdoor food market Naschmarkt were, the quality of the foods we chose were underwhelming. We tried gyros, fruits, pastries, and more, but nothing was truly spectacular. It’s still fun to go and sample things. Tour Belvedere Gardens and Palace. Stand in line for standing room tickets at Vienna Opera House. We got to watch Swan Lake ballet! It was absolutely breathtaking. Leave the ballet during intermission and go to Cafe Landtmann for cake. 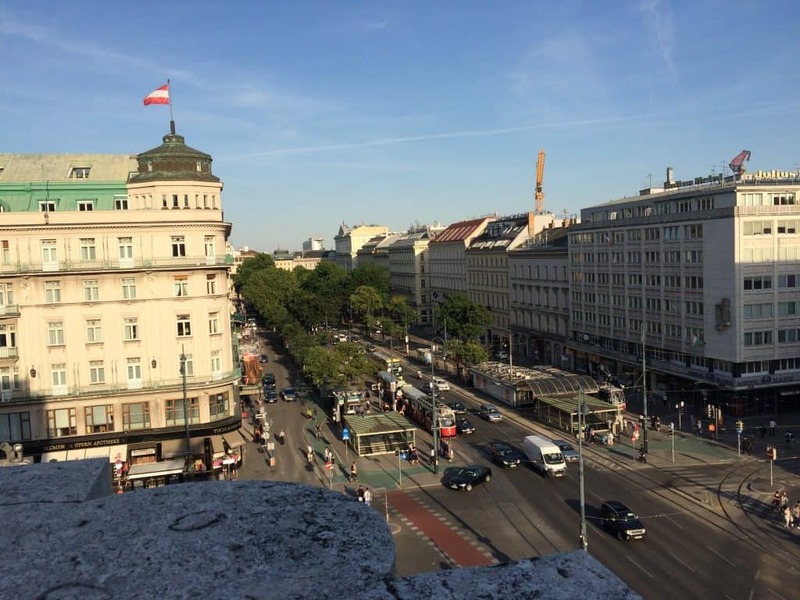 Address: Universitätsring 4, 1010 Wien, AustriaWalk there because Vienna is super walkable and gorgeous! On the way, admire the rose garden, Parliament, and Rathaus (City Hall). Waiting in line for standing room tickets at the Vienna State Opera House was by far the best thing we did in Vienna! The experience is one you can’t miss. Check out my full post on How to Get Standing Room Tickets at the Vienna Opera House. I REALLY wanted to participate in a Vienna Coffeehouse Conversation event! It’s where strangers sit down in a coffeehouse together with a menu of questions. You should totally do this if your Vienna trip dates align with the event dates! Grab breakfast at cute cafe nearby, Vollpension. Okay, I didn’t actually get to eat at Vollpension because of a nasty episode of food poisoning. Remember our little hot dog stand adventure? Well, I made the mistake of eating the leftovers the next day, and even though I had refrigerated them, they must have gone bad. Almost as soon as they hit my stomach, I felt like hurling. So…I didn’t feel like eating. Grab a cream cheese strudel (Topfenstrudel) and latte (Melange) from Cafe Goldegg. Then walk to the train station, which is nearby. Eat dinner at Beszálló. This was an eclectic place with an unexpected twist: Hungarian-Asian fusion! Sad news, though, as of April 2018, they have closed. On their Facebook page, they said they might reopen in a different location, though. Start the day with brunch at Zoska. There’s a lovely little park just a few steps away. Stroll to the antique bookstore down the street. This is a good place to buy Hungarian language book souvenirs. Even if you’ll never be able to read them, they make for great conversation starters when sitting on your coffee table back home! OPTIONAL: Spend the day at the Turkish baths. We simply went to the Sczechenyi Bath to look around. We did not go into the baths. Peek inside the Opera House. We didn’t attend an opera, but we went inside the opera house to admire its beautiful interiors. Stock up on snacks at Spar. Look for Turorudi candy bar, a popular Hungarian treat. The Hazelnut one is tasty! Play with the cats at Whiskers Cat Pub. While walking around, we stumbled upon a cat pub—yes, you can get alcoholic beverages and play with cats inside a playroom. Fun stuff. Walk along the Danube across the Chain Bridge. I didn’t expect Budapest to be so romantic! Strolling along the Danube was one of my favorite things I did there. Definitely go before sunset and stay till after sunset. The day versus night views are both beautiful, but so different. 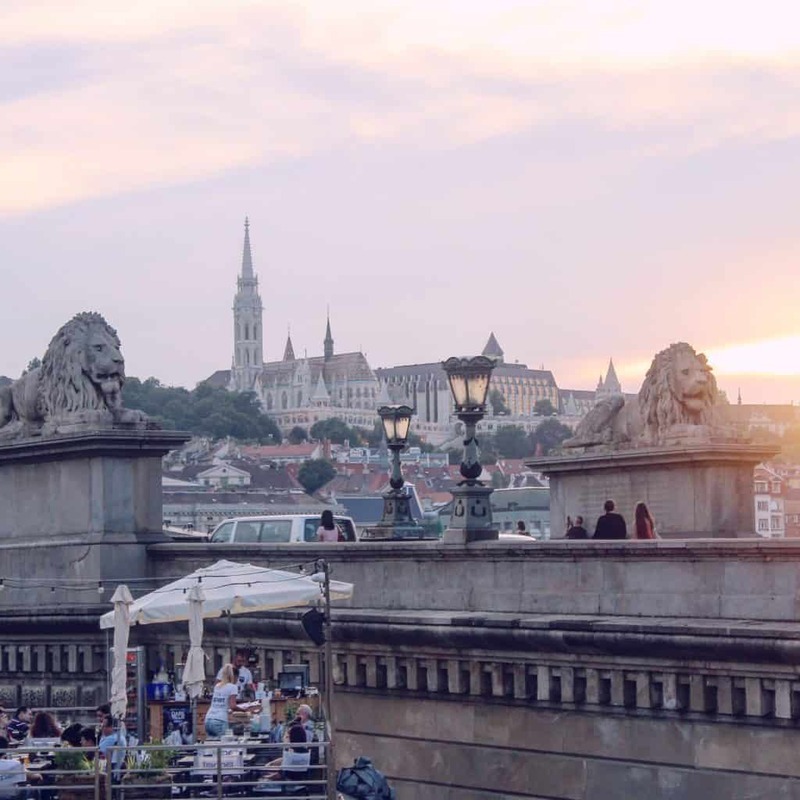 Enjoy a light dinner and an Aperol Spritz at a Dubarry restaurant overlooking the Danube. Visit the Great Market Hall (Central Market). Great place to purchase paprika. Early morning the food stalls and souvenir shops on the 2nd floor aren’t really open yet. So don’t expect to eat breakfast here if you go early. Grab breakfast at ​Gerlóczy Café. Sit outside. This little cafe is a taste of Paris, complete with outdoor seating for people watching along the sidewalk. I loved the little newspaper menus. 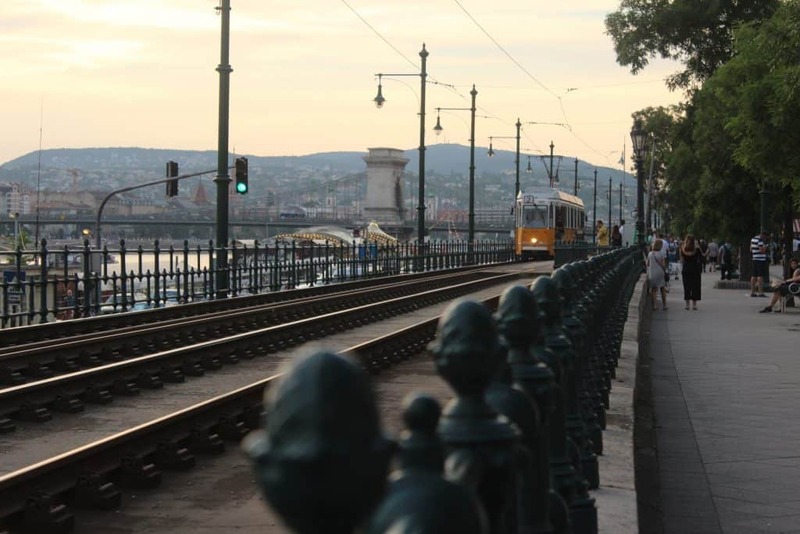 10:30 a.m. – Take the Budapest Free Walking Tour. Yes, there is no charge to go on the tour, but here’s the catch: The tour guide is compensated in tips, so be sure to tip him/her at the end of the tour. The tour lasts around 3 hours. Bring water and maybe a snack. If you go in May or June, it will get HOT. You’ll end at the famous St. Matthias church. Everything around there is pricey. So head back down and across the bridge into Pest to get food. – Nokedli (noodle) – Not the noodle you’re thinking, though. This is also known as Spätzle or Hungarian Dumpling. It’s a chewy, lumpy egg noodle. Tastes DELICIOUS! You eat it with the goulash. – Király palacsinta – We ordered this for dessert. It’s basically a crepe with chocolate sauce, vanilla sauce, and whipped cream on top. It wasn’t that good though, so I wouldn’t recommend ordering it. 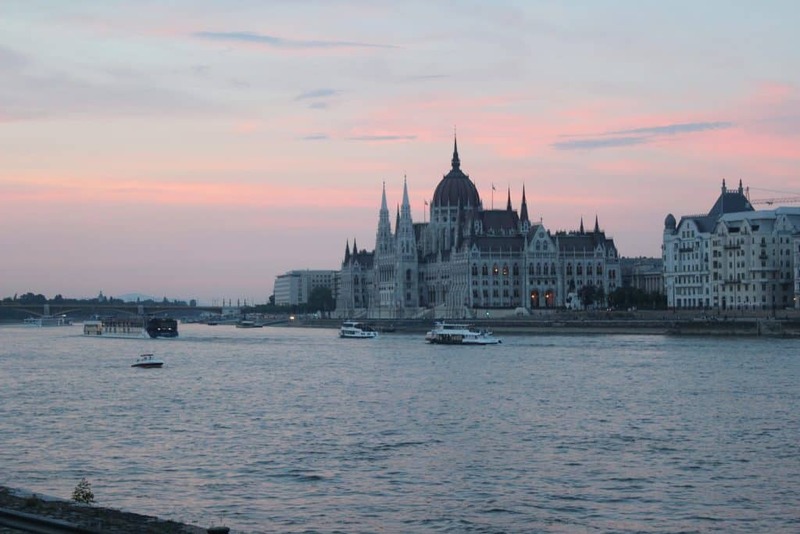 Take a joy ride on a river taxi on the Danube, passing in front of Parliament at sunset. Get off the tram at Árpád Híd, walk to Népfürdö Utca. Get on #12 ferry headed SOUTHBOUND. Get off after you pass Parliament (stop is Petöfi Tér). ONLY free to BKK pass holders on WEEKDAYS, not weekends. Head to a Ruin Pub (Anker’t). David and Sophie’s Airbnb in the trendy shopping district of Budapest was PERFECT for three people! And if you leaned out the window and looked at just the right angle, you could see the Danube. Seriously, consider staying here. Plus, I’m giving you $40 off your first Airbnb stay here. The best thing I did in Budapest was definitely anything along the Danube at night. No! But it’s pretty walkable and the trams/subways were fine. There’s a church inside a cave in Budapest, and I wish I’d gone to see it! There’s also Memento Park, an open-air museum where old remnants of Communist Hungary are on display for the world to remember what it was like. This is located a bit outside of the city, so thanks to my poor planning, we didn’t have a chance to go. I would’ve loved to see it though. It makes a nice complement to the House of Terror. In the morning, go to Fruccola and grab some snacks for the train ride. 11:25 a.m. – Take train from Budapest to Prague. Wi-Fi worked well for majority of trip! 6:06 p.m. – Arrive in Prague. Cross the Charles Bridge. It will be crazy crowded, nothing like the Chain Bridge in Budapest. There are often street performers on the bridge too. Click here to get $40 in travel credit to go toward your first Airbnb stay! My friends and I stayed in an Airbnb that I wouldn’t recommend. After my friends left, though, I checked into this Airbnb, which I really liked! Yes! But we had issues with reliability. On the way to the airport, I had to request several times because drivers kept canceling on me! I would NOT go on a weekend during the summer. The beautiful city is trashed by drunk bachelors. 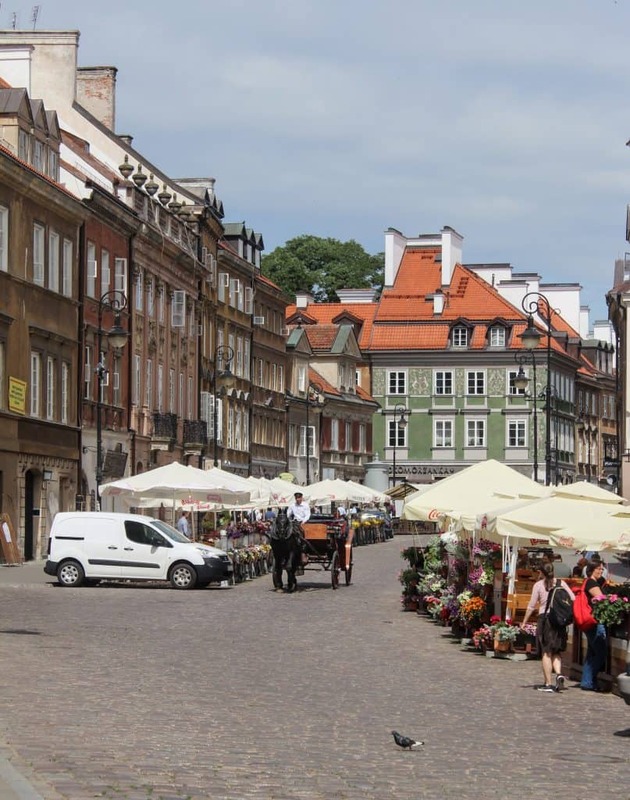 I would stay in the Vinohrady neighborhood, which is off the beaten tourist path. Buy one-day tram ticket. Buying a tram ticket was a good choice for us to get around quickly. We really only needed it for one day. Buy souvenirs. The shops along the streets where the Moka museum is have lots of little souvenirs, particularly if you prefer the edible kind. 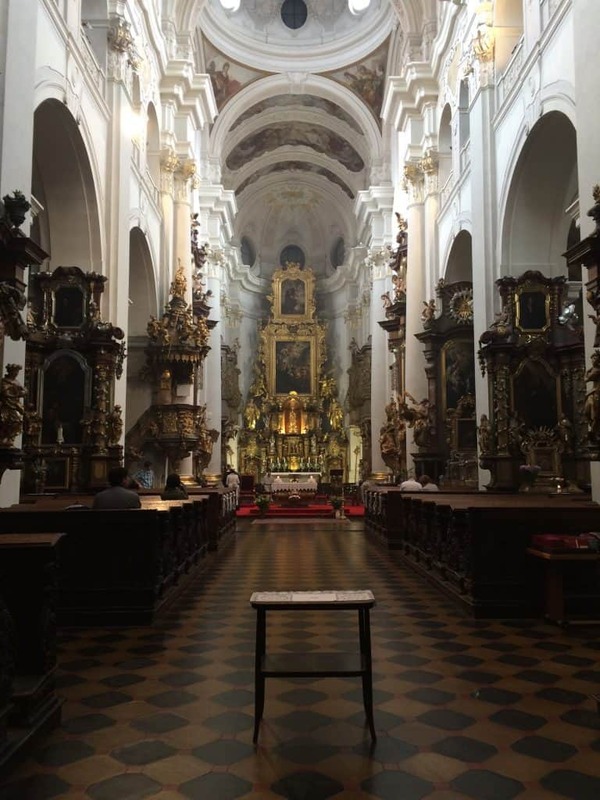 Catch a symphony inside an old chapel Mozart once played in: Klementinum Mirror Chapel. We bought these tickets online about two months in advance. At this point, my traveling companions left me and I was burnt out from a month of travel. I went to get breakfast at McDonald’s—I know, I know. But hear me out: I was sick of traveling and rather missing home, which is funny, because I never eat McDonald’s in the U.S. This meal was unremarkable. Then I went to the 11 a.m. mass at St. Thomas Catholic Church. HIGHLY recommend going. It’s beautiful. Then I checked into this new Airbnb. Here’s $40 in Airbnb travel credit. Then I went to a local supermarket and bought frozen pizza to make dinner at my Airbnb. Woohoo! Craazzyy times in Prague! Originally, I was going to take a train from Prague to Krakow, but after almost 2 weeks of grueling train travel, I decided to change my plans last minute and fly to Krakow with a layover in Berlin. You CAN take a train from Prague to Krakow if you want though. Thanks to my lovely friend, Winnie, we got a sweet room at the Sheraton Grand Krakow—and oh my gosh, luxury. #TreatYourself. We had a floor-to-ceiling window view of Wawel Castle! The best part was the free food in the lounge, which was enough to serve as meals for us when we didn’t feel like going out to eat. They also serve a complimentary breakfast that was out of this world, including made-to-order omelets. Highly, highly recommend staying here. Walk around Wawel Hill. There is a statue of a dragon that breathes fire! Go inside the beautiful St. Mary’s Basilica. The interior of this church is one of the most beautiful I’ve seen. It is free to go inside to pray and attend mass, of course. If you want to go inside as a tourist though, there is a small fee. Half-day tour of Auschwitz. We booked a combination Auschwitz/Salt Mines tour through Viator, and while the tour leaders did their best, it was one of my bigger regrets of the trip. The gravity and solemnity of Auschwitz really requires the whole day. Afterward, you’re emotionally spent and trying to process so much. To rush from that to the Salt Mines (which is a humorous tour) feels really messed up. Half-day tour of Salt Mines. If you’re claustrophobic, I do NOT recommend going on this tour. I’m not claustrophobic, but by the end of it, I felt very panicked and wanted desperately to get back up to the earth above (you go 400 feet underground to do this tour. No sunshine. No natural air.). The guided tour is very humorous and upbeat, and obviously, the salt mines are awe-inspiring, but I found it all a bit creepy too. Early dinner at Cafe Camelot. Visit the Sanctuary of Divine Mercy. We took an Uber from the Sheraton Grand Hotel to the Sanctuary of Divine Mercy. It was surprisingly difficult to find much information on this place, despite its huge significance. When you arrive, you’re free to roam the grounds. I recommend:- Visit the chapel. – Go inside the church. You can go to confession. This was confusing because the confessionals didn’t have anything to indicate what language the priest spoke. So I approached an employee/security guard and asked. He directed me to a priest who spoke English. We stayed with a family friend just outside of Warsaw in the country. Explore Polish supermarkets and be amazed. You might find it odd that going grocery shopping is one of my “must-dos” while in Warsaw, but you have to see it to believe it. I’m American, so I know supermarkets. But Polish supermarkets will blow anything you ever knew about megamalls and Walmart Supercenters out of the water. The selection is overwhelming! My theory is that it’s a direct result of the fact that Poland was under communist rule for so long, when it was common to go to the grocery store to find empty shelves. 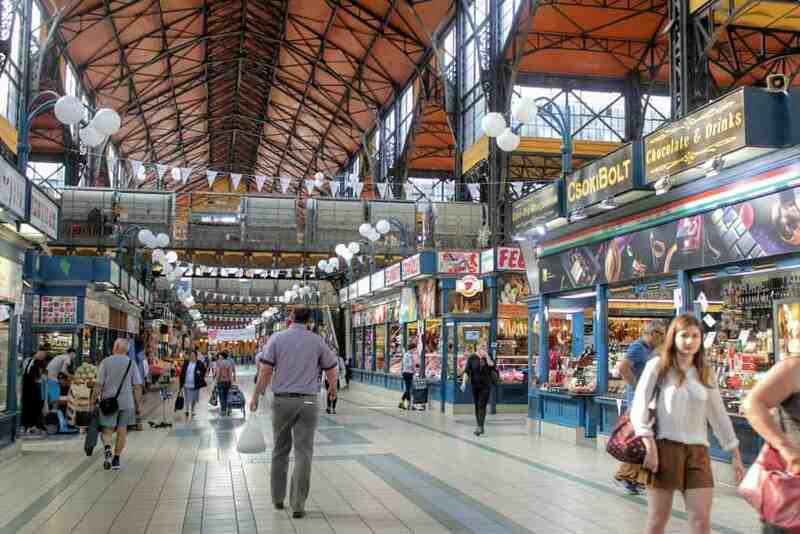 Now, Poland has swung in the opposite direction: bountiful stores with abundant options. Visit the Warsaw Uprising Museum. Monday, Wednesday, Friday 8 a.m.-6 p.m.
Saturday and Sunday 10 am.-6 p.m.
Eat dinner at Kuznia Kulturalna. I had some sort of fish atop a bed of pureed carrot, topped with a bundle of green beans. It doesn’t seem to be on the menu anymore. You can check out their menu here. Grab dessert at a nearby ice cream shop. Here is a very important Polish word for you to learn: “lody”! It means ice cream, and it’s pronounced “LO-dee.” We grabbed lody at a lody shop just across from Kuznia Kulturalna. You can find many of these around the palace grounds. 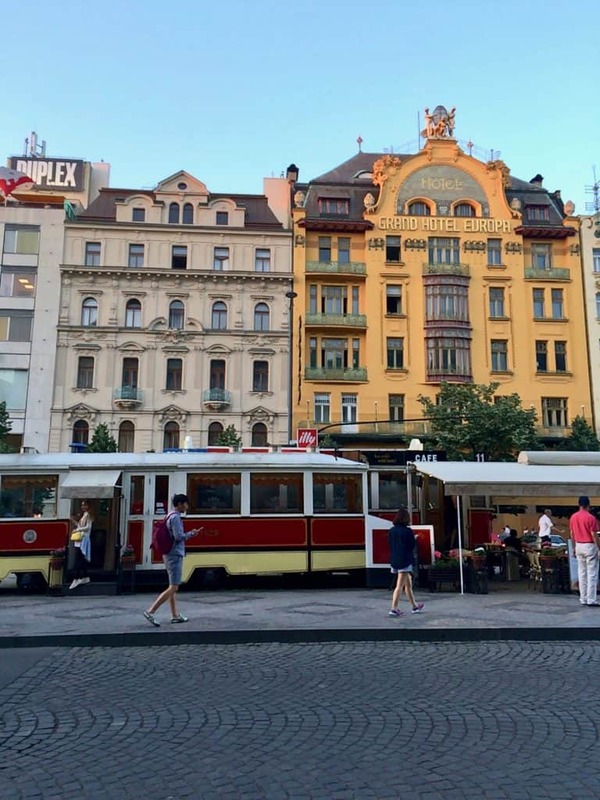 And that was my whirlwind 2-week Eastern Europe itinerary by train! It was a LOT to pack into just 14 days. I had to kind of recover from it all after the trip. It was a GREAT way to try out each city in the hopes of returning for a longer period in my favorite places. I liked to think of this Eastern Europe trip as a “sample platter” of sorts. :) Enjoy your trip!